Hitting the water for a day of fishing is a great way to spend some time in nature and enjoy the outdoors. There are many ways one can fish, whether that be from shore, off a dock or from a boat. 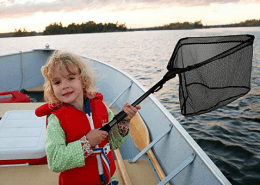 While fishing from shore is a great way to fish, fishing from a boat allows you the opportunity to get to those hard to reach places while also allowing you the ability to venture anywhere on the lake. One of the best ways to hit the water is in a fishing canoe. 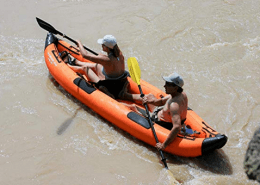 Fishing canoes are great because they are easy to transport, maneuver and a very user friendly. Simply hop on in and paddle around to your favorite fishing spots. Of course, paddling around can get tiring when doing it for long duration’s of time. This is where a canoe motor mount comes into play. 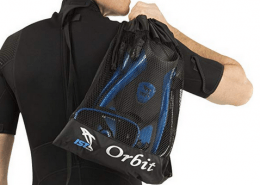 Simply attach it to your canoe, attach your trolling motor and marine battery and you’re ready to go. 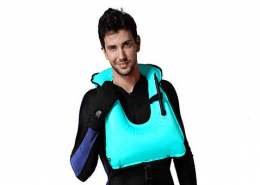 This is a great way to get from place to place throughout the lake faster and more effectively than simply paddling around. If you’re looking for a canoe motor mount you’ve come to the right place. We’ve done the research and the testing so you don’t have to. Here are our picks for the best canoe trolling motor mounts for the money in 2019. Old Town has come to be a trusted brand for carefully crafted kayaks and canoes. That’s why their motor mount has always been considered among the most popular choices. The Old Town Standard Canoe Motor Mount provides all the basics you need to equip your canoe with your choice of gas or electric engine. 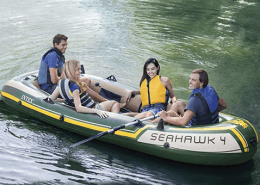 While it was specifically made to fit any of Old Town’s canoes, its standard design and specs give you the versatility you need no matter the brand you own. It also has a reversible orientation so you can use it for either right or left handed operation. This canoe motor mount boasts a heavy-duty bracket that’s made of lightweight but durable aluminum. In total, the mount weighs 6.46 pounds and it is rated to accommodate engines of up to 3 horsepower. The best thing about this canoe motor mount is that no tools are needed to install it. You just need to set it onto the gunwales of your canoe and then hand-tighten the bolts which have large, easy-to-grip tightening knobs. This is a great trolling motor mount for canoes. The Old Town Side-Saddle Canoe Motor Mount gives you the same reliability you’ve come to expect from the brand but in a manner that makes operating your motor more comfortable for you because it takes up very little space. It is made mostly of heavy-duty aluminum parts that are corrosion-resistant. It also has a hardwood block that makes it easy to secure almost any electric motor. The Side-Saddle Canoe Motor Mount by Old Town is rated to safely support electric and gas engines of up to 3 HP. It was designed to be easily installed and dismantled and you can opt to put it either on the stern or the bow. It doesn’t even require any tools. It was made to be installed with your bare hands. Additionally, it has a reversible orientation so you can use it whether you’re left or right handed. While it was developed with a standard design to fit most canoes, it is not likely to be compatible with most wood-trimmed ones. 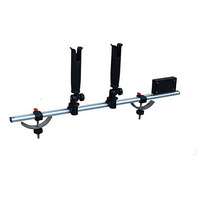 This is a well engineered and designed canoe outboard motor mount. 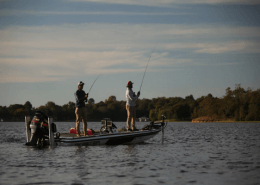 Choosing a trolling motor to elevate your fishing adventures may be a feat but you need to pay almost the same amount of attention to selecting your mount. Selecting a trolling motor mount for your canoe isn’t just about finding one that fits. You need to make sure you find one that is easy to install and will keep your motor firmly in place. The Canoe Trolling Motor Universal Mount by Brocraft is made mostly of marine-grade alloy. Its other parts include stainless steel bolts and nylon clamps. Because of its universal design, it can essentially be used for any canoe with a gunwale. It is made even more convenient because it can be adjusted to fit various hull widths. 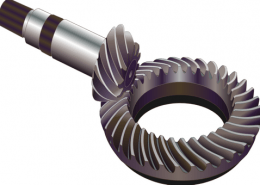 It also has a reversible orientation so it can be used for either right or left handed operation. This is a perfectly designed trolling motor bracket for canoes. The Brocraft Canoe Trolling Motor Universal Mount is incredibly easy to install and dismantle. This can be done with your bare hands, without any need for tools. The mount also comes with two of Brocraft’s Rocket Launcher rod holders which can come off if you don’t need them. With this mount, you can rest easy knowing that your trolling motor is safe and secure. The Canoe Trolling Motor Mount by AquaOutdoors gives you everything you need to mount your motor with minimal fuss but maximum security. 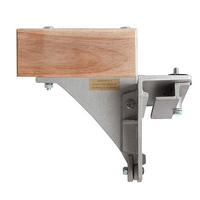 Its main component is a tough, heavy-duty 6061 aluminum bracket that’s 28 inches long and 3 inches wide. Its width is not typical of basic canoe trolling motor mounts but help in keeping the motor stable and also minimizing vibration. This mount has a solid ash block that’s meant to offer stability to your trolling motor. Because of its incredible simplicity, it can essentially fit any canoe with a gunwale. 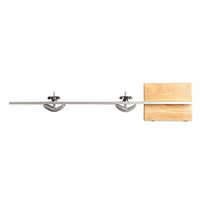 The clamps have solid bars so it’s easy to secure even in gunwales as narrow as 1/2-inch. Additionally, it has various locking holes so it can be adjusted to fit any hull width and it can be reversed to accommodate both left and right handed users. The AquaOutdoors Canoe Trolling Motor Mount can carry motors of up to 4 HP. 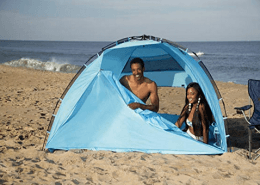 It is designed for easy installation and can be done without the use of tools. 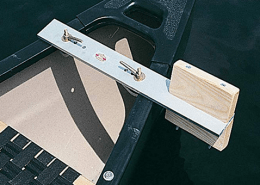 The canoe motor mount by Harmony stands true to the company’s promise to provide affordable yet high quality accessories for canoe and kayak enthusiasts. As simple as it is, this mount is all you need to secure electric motors of up to 35 pounds. It uses up minimal space and yet is able to keep your motor stable, allowing you to rest easy knowing that your motor is safe. The Harmony Canoe Motor Mount’s heavy duty cross bar is made of anodized aluminum and it features a transom block made of hardwood oak. 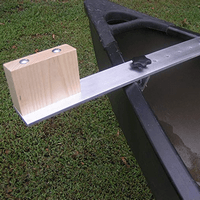 It is compatible with almost any canoe that has a square gunwale and it is easily secured using angle clamps that are hand-tightened so no tools are necessary to install it. Dismantling it is just as easy. Its width is also easily adjustable so it can fit most hulls. Additionally, its orientation is reversible so you can use it for left or right handed operation. That also means you can install it at your stern or bow, depending on what you prefer. If you’re looking for a trolling motor bracket for your canoe, this might be the perfect option.